The inscription in the blade of the trowel. In fact, its isn’t really a cake slice at all, but a presentation trowel which was first used to lay the foundation stone at the church on Cathedral Rd. in Cardiff, Wales. I have looked at this item many times but hadn’t really considered its history. Thankfully, with the internet it is much easier to investigate such things so I was able to find out a wee bit about it. The fine hand-carved bone handle. So, who was Henry Radcliffe? 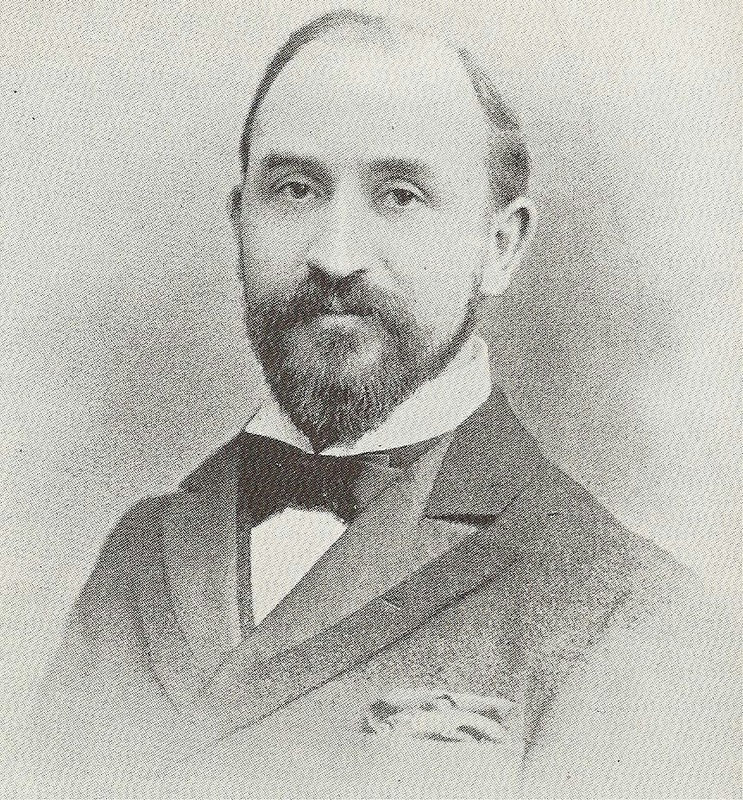 From my research I have come to the conclusion that Henry, born in Merthyr Tydfil in 1857, was a wealthy Cardiff shipowner and member of the South Glamorgan Liberal Association. Though not born into wealth, he and his partner Evan Thomas, a Master Mariner, raised enough money to buy a steamer and before long business was booming. Within three years they had purchased four more ships. After Thomas died, Henry and his brother Daniel grew the business and by 1914 were the largest shipping firm in Cardiff, with 28 vessels. Mr Radcliffe himself. Image via. And what about the church? A Presbyterian Church of Wales; it was designed by Edgar G.C.Downs and built on the north end of Cathedral Rd. The whole Cathedral Road area was developed by the 3rd Marquess of Bute who employed William Burges (architect of Cardiff Castle) to help ensure that the project was done to a high standard. 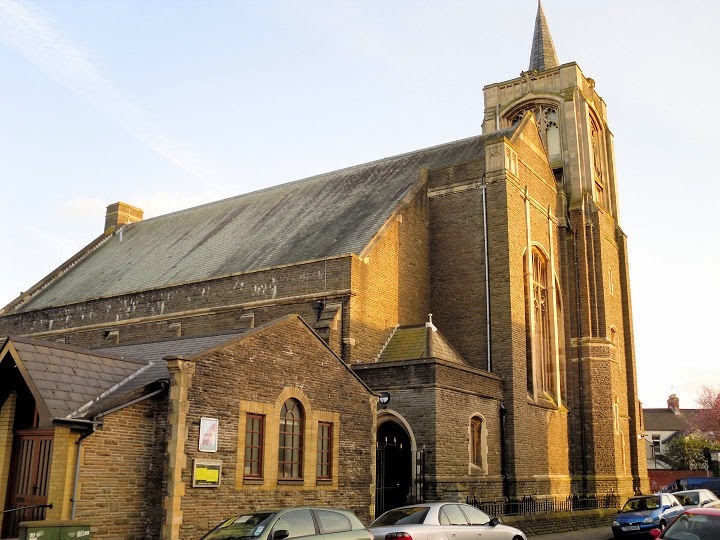 The new church would cater for the new Cardiff residents, who had been moving into the large villas which were built there between 1885 and 1900. These were some of the very wealthiest families in Cardiff. As an upstanding citizen and respected businessman one can assume Henry Radcliffe would have been the perfect candidate to lay the first stone at the new church which was to serve this new community. And what of the church today? The church still stands, as it has since the early 1900s, but is no longer a place of worship. It is now considered a landmark building and has become a community centre and office space. A small modern building has been built on the grounds and serves as a church for the people of Cathedral Road. So there you have it. A little slice of history, as told by the engraving on a silver trowel.